If you have ever thought this about yourself, stop everything you're doing right now and read every word of this post as if your life depended on it. Today, I'm going to help you self assess how deep this belief is ingrained in you and give you practical tools to overcome. Now first things first. How do you know if you have this mindset? Well, that's easy. If you've ever thought to yourself "I am not enough" then this mindset is in your subconscious. If you have ever thought "I can't do that because I haven't achieved this (specific goal) or I need that (specific person) to help me or approve of what I'm doing" then that also confirm that this mindset is in you because "I am not enough" is at the root of these thoughts and beliefs. 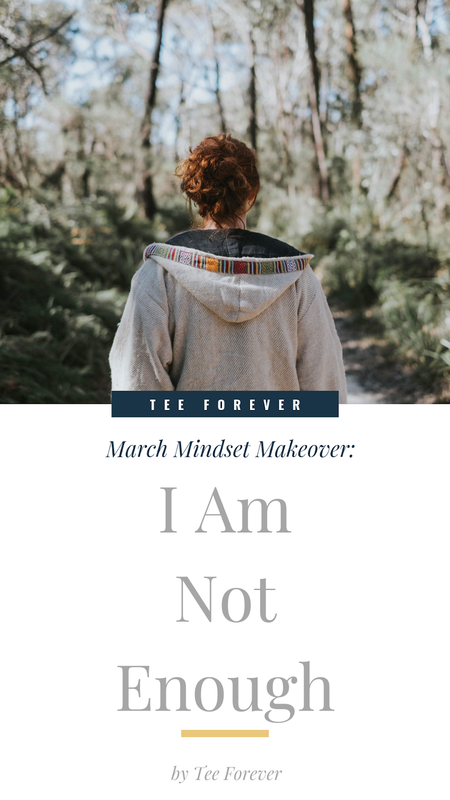 Related Post: March Mindset Makeover: But What If I Fail? To overcome this stronghold you first need to identify where is started. Did somebody tell you you are not enough? When you were in high school and you auditioned to join the basketball team and didn't make it, did you interpret that event as "I am not enough"? 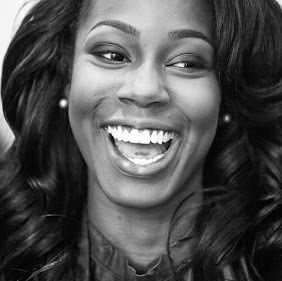 Were you constantly compared to your siblings growing up which led you to believe "I am not enough"? Were you bullied as a child? Did you experience abuse of any kind? Think about your childhood and events that trigger feelings of not being enough. When do you feel this way the most? What triggers this feeling for you? After you get clear on the root and triggers begin to analyze what the truth of the situation was/is. For example, if you started to tell yourself "I am not good enough" after failing an audition in high school, after careful examination you will see that failing an audition doesn't automatically mean that you are a failure and you're not good enough. It could simply mean that you just weren't ready for all of the demands that come with being on a sports team. Maybe the coach saw that your skills were amazing but also recognized that you would benefit more from playing another sport, or maybe if you were constantly compared to your siblings your parents were just trying to challenge you to push yourself to do and be more because they could see your potential! You have to see your roots and triggers with new eyes and accept the truth. Not what you think, believe, or feel happened to you, but the truth. This is the only way to have complete freedom and healing which leads to powerful transformation. Before I started investing in myself and becoming aware of beliefs that were hindering me from achieving my personal and business goals I fed this belief of not being enough for years! Whenever something would happen to confirm this belief I would tell myself that it's a sign that maybe I should stop pursuing my goal or maybe I should try something else and let other people enjoy what I dreamed of having for myself. This belief of not being good enough led me to doubt my own genius and rely on others for approval and direction. It led me to procrastinate and waste precious time that I will never get back. It led me to live my life in fear! Looking back I see how crippled I was, but when I was living with this mindset and the truth is, I really had no idea how blind I was and how much this belief was effecting me. If this is where you right now listen to me. You are worthy of every goal that you set out to achieve. You are capable of doing hard things and maximizing your life. You have an important mission in life and you are necessary! No matter what you've been told, no matter how you feel, no matter what your current situation is. YOU MATTER! You are important! You have a purpose! YOU ARE ENOUGH! I said that even before I knew I was." Now you might feel motivated and inspired now because I've just told you the truth about who you are, but you can't rely on this feeling of being inspired. You have to do the work, dig deeper and clean up this junk from your mind. You have to work through your triggers and roots and replace them with the truth so that this old way of thinking and responding to people and events will die. Does that make sense? You have to do the work of changing your mindset so that you can live with self-confidence, total mental freedom, and complete healing. This will lead to you being yourself, thinking for yourself, and approving yourself! & stronger than you think. Stop allowing yourself to be held back. Do something different and challenge this negative belief. Do the work, my friend. It will be hard, but you're worth it! Until next time, xo!